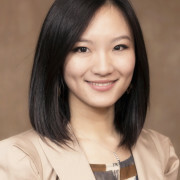 Yajin Wang is a fifth year Ph.D. candidate at the University of Minnesota, and she will join in the University of Maryland as an assistant professor of marketing in the fall of 2015. Her current research interests include luxury brands and conspicuous consumption, social influence and brands, and interpersonal relationships. Her research has been published in Journal of Consumer Research and Psychological Science, and has been covered in the New York Times, Wall Street Journal, and Harvard Business Review. Her dissertation examines the psychological and behavioral consequences of the consumption of luxury products. Prior to entering the Ph.D. program, Yajin received a B.A. in Journalism and Sociology at Peking University in China, and a Master in mass communication from the University of Minnesota. Her industry experience includes a position as an associate consultant at Bain & Company. The mentees were kind enough to allow us to share their presentation with you. Please respect their intellectual property. Yajin Wang, Vladas Griskevicius, (2014), “Conspicuous Consumption, Relationships, and Rivals: Women’s Luxury Products as Signals to Other Women” Journal Of Consumer Research, Inc.